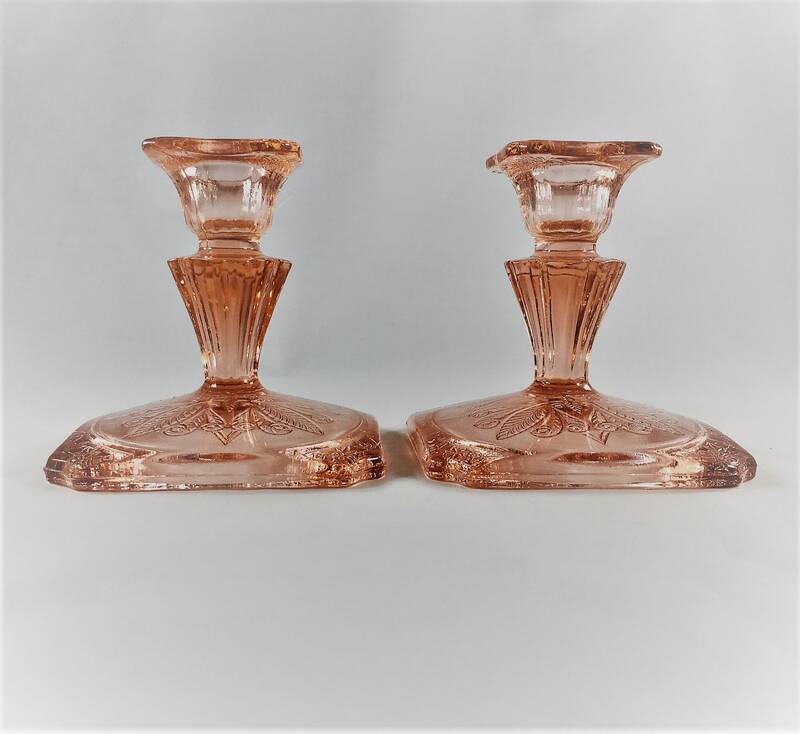 Featured is a beautiful pair of pink Depression glass candlestick holders from Jeannette. 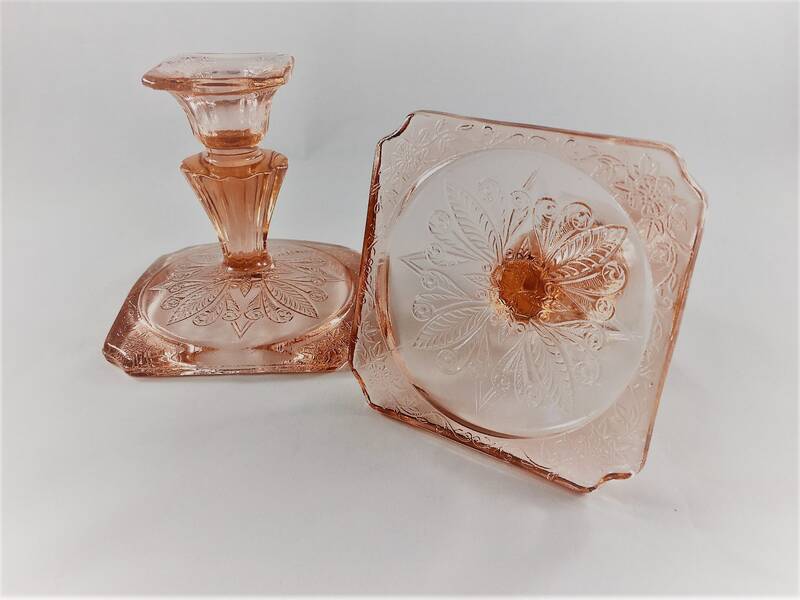 These glass piece are from their desirable Adam pattern that was made from 1932-34. 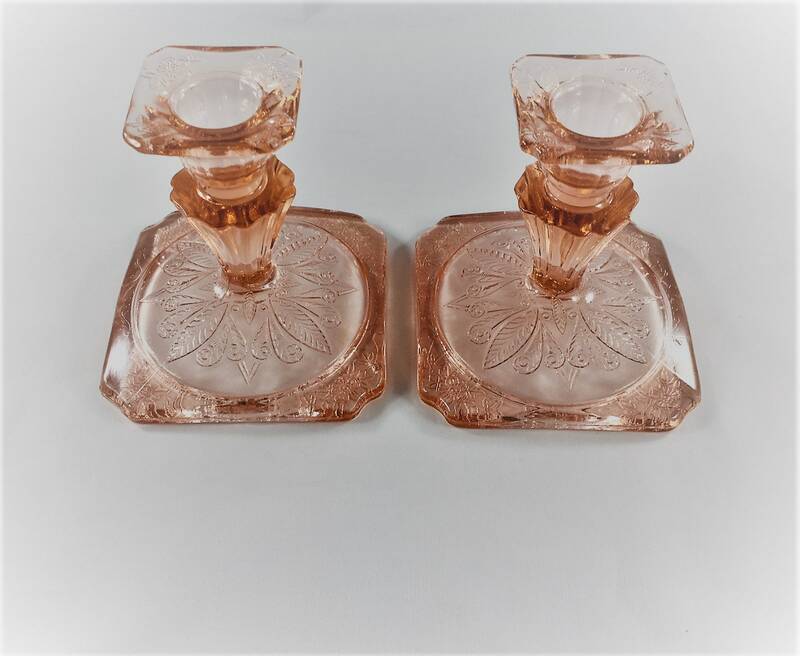 They measure about 4 inches high and sit on a square base that is about 3 3/4 inches on a side. 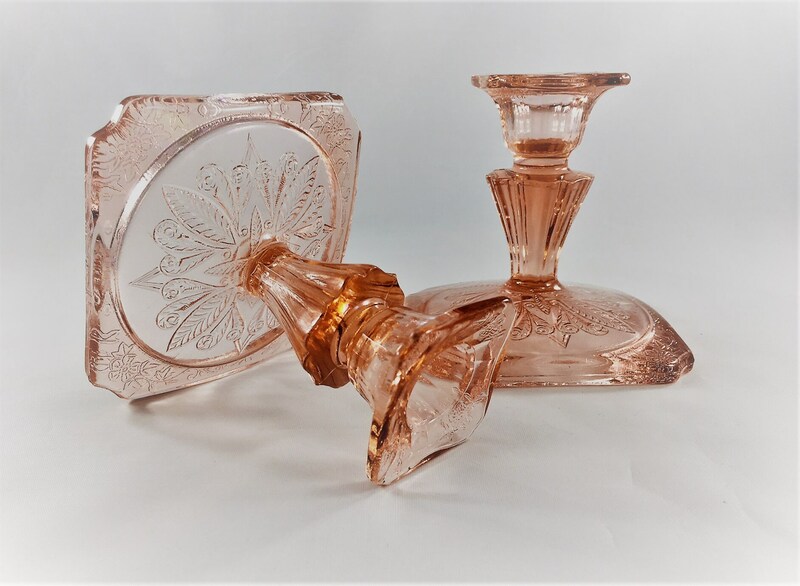 Nice weight and elegant design, these pieces would be a great accent to any room around the house. Excellent vintage condition, free from any chips or cracks.